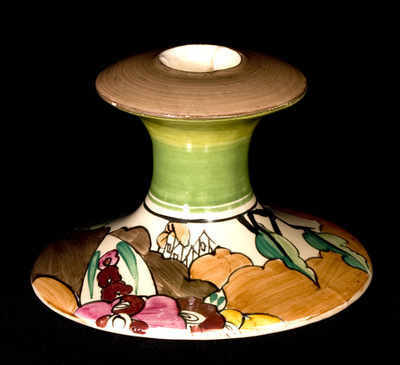 Candlestick in the Alton pattern.Very nicely painted (lots of pattern all around).Size is 4.5 inches at the base. Small chip to the sconce that has been invisibly repaired. Signed Bizarre by Clarice Cliff. Price £265.